Tom Salter is the co-founder, with Goldman Sachs alumnus Charlotte Ransom, of a well-funded new challenger investment management business, Netwealth Investments (www.netwealth.com), one of many seeking to take on established incumbents in the private bank and wealth management industry with a low cost, fully digitalised discretionary service. 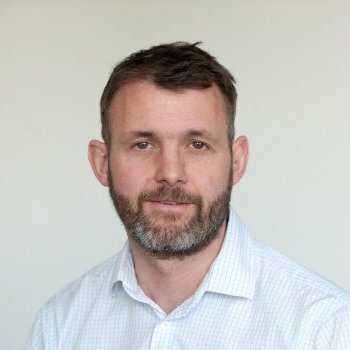 In this interview I ask him how his firm’s offering will differ from what’s out there already, how he sees the future of wealth management panning out in the face of technological and regulatory change and what the implications might be for investors and the firms they currently rely on to look after their money. Money Makers podcasts are free to listen to, although only subscribers have access to edited transcripts. The topics cover a range of investment topics of interest to active and sophisticated investors. Subscribers are notified of the latest podcasts and all the other content we produce in regular email updates. Tom Salter co-founded Netwealth with Charlotte Ransom in 2015. He has more than 15 years’ experience in financial services, the majority spent at JPMorgan where he was most recently Managing Director and global head of equity and multi-asset quantitative investment strategies. Tom joined JPMorgan as a graduate trainee in fixed income in 1998. In 2000, he joined Goldman Sachs to work on asset-liability management for pension funds and insurers before sailing around the world and then rejoining JPMorgan in 2004. He holds an MEng in Aeronautical Engineering from Imperial College and the CISI Private Client Investment Advice and Management qualification.